Thermoelectric materials, capable of transforming heat into electricity, are very promising for converting residual heat into electrical energy, as they convert hardly usable or nearly lost thermal energy in an efficient way. Roig says, "This material has a higher thermal stability compared to other thermoelectric materials based on synthetic polymers, which allows it to reach temperatures of 250 °C. In addition, the device does not use toxic elements, and the cellulose can easily be recycled, since it can be degraded by an enzymatic process converting it into glucose, while recovering the carbon nanotubes, which are the most expensive element of the device." Moreover, the thickness, color and transparency of the material can be controlled. 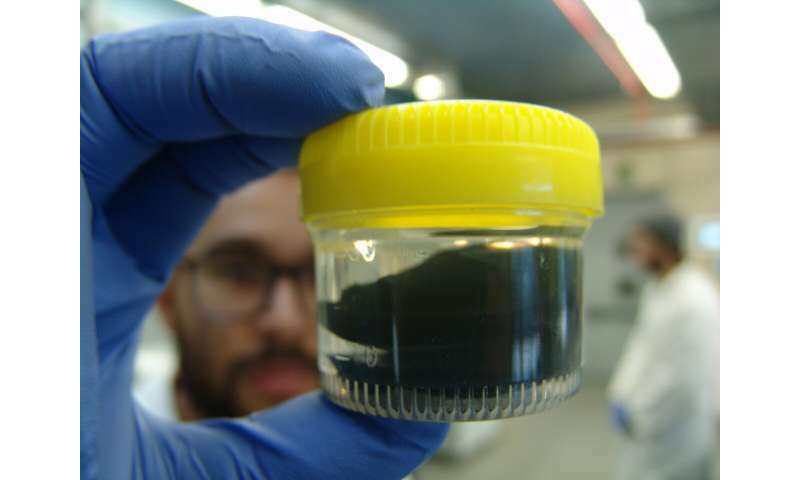 Campoy-Quiles explains that carbon nanotubes have been chosen for their dimensions: "Thanks to their nanoscale diameter and their few microns in length, carbon nanotubes allow, with very low quantities of even 1 percent, obtaining electrical percolation, i.e. a continuous path where the electrical charges can travel through the material, allowing cellulose to be conductive. Additionally, the use of such a small amount of nanotubes (up to a maximum of 10%), while maintaining the overall efficiency of a material containing 100 percent, makes the process very economical and energy efficient." Roig says, "On the other hand, the dimensions of carbon nanotubes are similar to those of cellulose nanofibres, which results in a homogeneous dispersion. In addition, the inclusion of these nanomaterials has a positive impact on the mechanical properties of cellulose, making it even more deformable, extensible and resistant." These devices could be used to generate electricity from residual heat to feed sensors in IoT applications and agriculture. "In the near future, they could be used as wearable devices, in medical or sports applications, for example. And if the efficiency was optimized further, this material could lead to intelligent thermal insulators or to hybrid photovoltaic-thermoelectric power generation systems," explains Campoy-Quiles. Roig says, "Due to the high flexibility of the cellulose and to the scalability of the process, these devices could be used in applications where the residual heat source has unusual forms or extensive areas, as they could be completely covered with this material." Because bacterial cellulose is easily produced, the technology could be the first step toward a new energy paradigm in which users will be able to make their own electric generators.